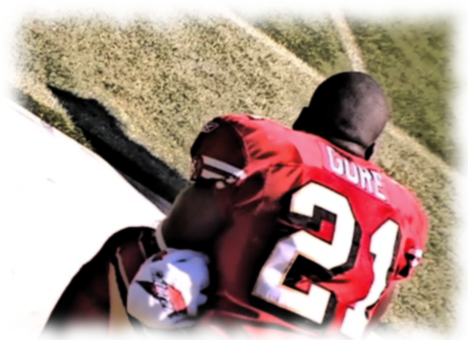 Are Frank Gore’s Best Days Behind Him? It’s a common ailment. Sometimes debilitating, more commonly very irritating. Persistent discomfort is the trademark symptom. The fantasy diagnosis is a “Frank Gore Headache”. If you have one you know it. The anticipatory anxiety that comes with it is compounding. A sickening malady for sufferers. His 100 career games played seems like an appropriate landmark at which to reflect. The window is closing as Frank Gore heads into his 8th season but, at 29, the odds are still in his favor for 2012. Even though he’s been a three-down, workhorse-type running back, Gore has only averaged 236 carries/year over his career. A number well below the dreaded 300 carry mark. Last year, his carries were significantly up at 282. Still a very manageable number and reasonable expectation. Gore has always been a terrific pass catcher, hitting the 50 catch mark on several occasions. Surprisingly though, in the west coast offense, under first year head coach Jim Harbaugh, Gore’s receptions were way down last year at 17. The uptick in rushing attempts helps mitigate the decrease in receiving productivity by about 50%. Even a casual glance at his annual statistics reveals his consistency. Gore’s career averages are a reliable tool for examination: 1089 rush yards/season, 342 receiving yards/season, and 7.43 TDs a year. If he plays all 16 games, as he did last season, the numbers extrapolate to 1218 rush yards, 382 receiving yards, and 8 TDs. Let’s assume that this is the best case scenario. That means you are getting 13 gross fantasy points/game. Adjust for the shift in rushes/receptions and you get 12 gross points/game. Factor in a 10%-15% depreciation rate for advancing age and a crowded backfield (Jacobs, Hunter, James, Dixon, Cartwright, Hampton). You still get 10-11 points/game, and based on Gore’s history it’s relatively evenly distributed production. All of which falls right in line with the 11.3 gross points/game he averaged last year. A number that might have been bigger. Some say he suffered a late season decline but I think it was the week 9 knee injury that cost him some juice. I like the numbers but don’t hitch your wagon all the way to Frank Gore. History has shown he will miss a few games. The talented RB registers a consistent average of 1.7 games missed/season over his career. Not quite the durability nightmare you might imagine though. His upside is probably most tied to his production in the receiving game. I wouldn’t count on a revival in that department. Rookie LaMichael James is a Darren Sproles clone and should take over those duties quickly. Gore’s efficiency ratings aren’t top tier either, but he’s still a 1500 total yard guy with upside for 10 tds. Inherently, The Frank Gore Headache will probably persist to some extent in 2012 but we all need to remember that sometimes we get sick in a really good way. It might just be one of those years. Gore is on the best team of his career and his current ADP as shown on Myfantasyleague.com, is 54.23! That’s the middle of the 5th round in 12 team leagues for a guy that was a late 1st round pick just last year!!! You can argue that he was overvalued in 2011, but still. 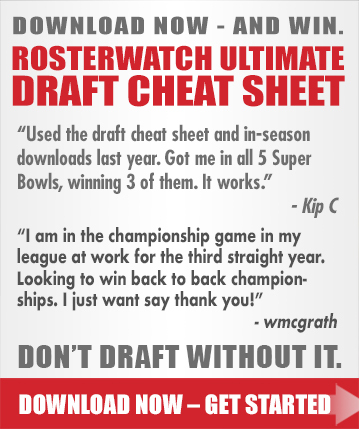 In a year where it’s hard to predict twelve surefire #1 RBs, a 5th round pick for a guy who could become a solid #1 is a steal. Don’t get me wrong, I believe Frank Gore is a #2 fantasy RB and should be drafted accordingly. He seems to slip into the Steven Jackson, Michael Turner discussion. I love Turner the most with an ADP of 59.02, but Gore looks like thievery compared to Jackson’s ADP of 41.16. I agree. I would take Turner before Gore this year.